The first part of Sniper Elite 4‘s Deathstorm DLC is due to arrive on Xbox One, PlayStation 4 and PC next week, March 21, developer Rebellion has announced. Marking the beginning of a mini campaign, the add-on is set directly after the events of the main game and will be playable in both single-player and with another in co-op. Split into three separate parts, next week’s initial episode – Inception – will see players travel to northern Italy in order to infiltrate a Nazi naval base and retrieve the mysterious package known only as Deathstorm. Rebellion promises a “massive environment” ripe with challenges and objectives to complete in Inception, although standing between you and success will be German destroyers and warehouses chock-full of Kriegsmarine soldiers. Inception will be available to purchase separately or as part of Sniper Elite 4‘s Season Pass, which grants access to the entirety of the Deathstorm campaign as and when each episode is released, as well as all other paid content planned for the future. That includes the Night Fighter Expansion Pack, which will be available on the same day as Inception and bundles three new weapons, night-time camouflage skins for eight different armaments and two new character skins. If you’ve no intention of picking up the Season Pass, Rebellion’s got a generous selection of free content arriving next week, too. New game mode Elimination, which pits two teams of six against each other in a battle to see who has the better trigger finger, as well as new map Night Woods will be available on March 21 for all players at no additional cost. The second and third parts of Deathstorm, on the other hand, are scheduled to drop within the next few months, so look out for those. 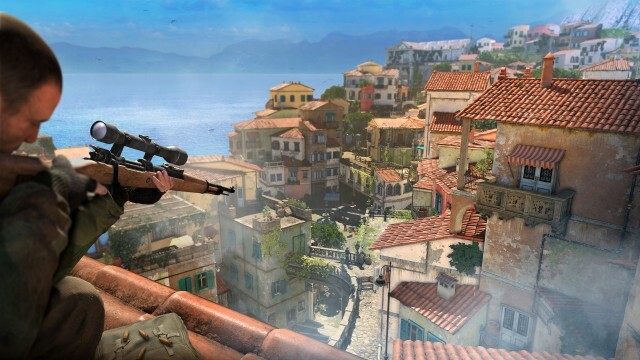 Sniper Elite 4 launched back in February and garnered a pretty positive reception. You can check out our review here.